Before starting your home search in the Ascension, Livingston, or Baton Rouge area here are 5 great reasons to contact a mortgage broker to get pre-approved. You won't waste your time considering homes you cannot afford. You can select the best loan package that suits your needs without being under pressure. As a buyer, you are in constant competition with all of the other buyers who are looking to buy a home. There is a big difference in the level of expertise and quality of service provided by Realtors. Give yourself the advantage of working with the very best...work with Brandy Helms and her team at RE/MAX First and get all the expertise and value added services that will make a huge difference in your home buying experience. With recent emphasis on the Saints' playoff games and possible trip to the Super Bowl, Mardi Gras - the national holiday of Louisiana - will be even livelier this year. Parades, which began last weekend will continue until Fat Tuesday, will keep the party going in New Orleans, Baton Rouge, and of course, Ascension Parish, as revelers eat and drink their way through the next week. One holiday favorite to be found at many festivities will be King Cake, a decorated filled ring of twisted bread. The delectable pastry originated in western Europe in honor of the Three Kings who made their way to Bethlehem to honor the Baby Jesus on January 6, the 12th day after Christmas. French and Spanish settlers brought the cake to the New Orleans, where it became a favorite. Though the recipe varies for the cake, it always contains a trinket, most often a plastic baby. Whoever finds the trinket in their piece is supposed to gain good fortune- and the honor or buying the cake next time. In Ascension Parish, one of the biggest suppliers of King Cake is Harvest Supermarket in Geismar. Located at the intersection of Hwy 73 and Hwy 74, Harvest makes hundreds of cakes per day during Mardi Gras season. The enterprise keeps employees busy rolling and stuffing the dough with fillings and the precious baby, and then baking and icing the finished product. This year, the crew has hard to meet the demand of local shoppers who line up at the door to buy them up for their own celebrations and to ship out of town. Of course, this year, the store has also been extra busy preparing Who Dat cakes and Valentine's Day cakes. Remove the dough from the bowl. Using your hands, form the dough into a smooth ball. Lightly oil a bowl with the vegetable oil. Place the dough in the bowl and turn it to oil all sides. Cover with plastic wrap and set aside in a warm, draft-free place until doubled in size, about 2 hours. Meanwhile, make the filling. In a large mixing bowl, combine the cream cheese and 1 cup of the confectioner's sugar. Blend by hand or with an electric mixer on low speed. Set aside. Spread the filling lengthwise over the bottom half of the dough, then flip the top half of the dough over the filling. Seal the edges, pinching the dough together. Shape the dough into a cylinder and place it on the prepared baking sheet seam side down. Shape the dough into a ring and pinch the ends together so there isn't a seam. Insert the king cake baby or pecan half into the ring from the bottom so that it is completely hidden by the dough. Brush the top of the risen cake with 2 tablespoons of the milk. Bake until golden brown, 25 to 30 minutes. Remove from the oven and let cool completely on a wire rack. Make the icing. Combine the remaining 3 tablespoons milk, the lemon juice, and the remaining 3 cups confectioner's sugar in medium-size mixing bowl. Stir to blend well. With a rubber spatula, spread the icing evenly over the top of the cake. Sprinkle with the traditional purple, green, and gold sugar crystals, alternating colors around the cake. The cake is traditionally cut into 2-inch-thick slices with all the guests in attendance. Also try these local suppliers of King Cakes. Need a house with a gourmet kitchen where you can make your next King Cake? Brandy and her team can find you the perfect place to call home in the Greater Baton Rouge area, including Baton Rouge, Prairieville, Gonzales, Denham Springs, Watson, Walker, Central, Greenwell Springs, Zachary, Baker, Port Allen, Brusly, Geismar, and St Amant. Come on down to Baton Rouge! 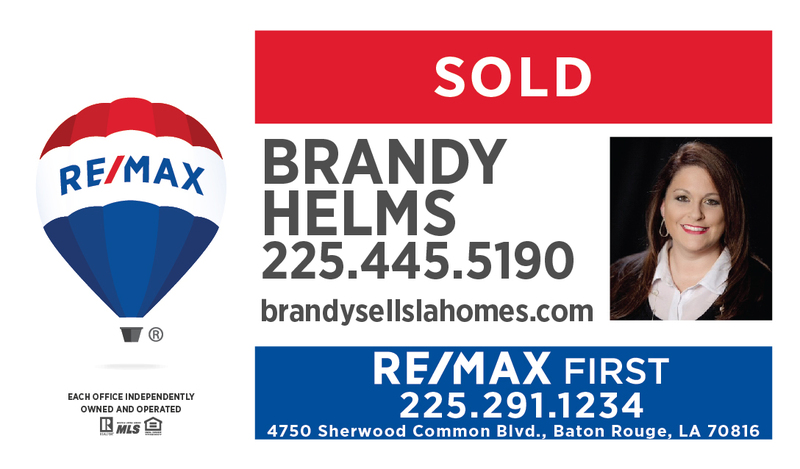 As 2019 begins, Brandy Helms and her team are busily selling the benefits of living in the Greater Baton Rouge area and in the process, selling houses. At the moment, according to The Greater Baton Rouge Board of Realtors’ multiple listing service, there are 3,828 home for sale in the Baton Rouge, Lousiana area. That breaks down to 1,681 in East Baton Rouge Parish, 645 in Ascension, 687 in Livingston Parish,and and 404 in East Feliciana, Iberville, West Baton Rouge, and West Feliciana. Greater Baton Rouge offers a lot of home for the money. The cities and specific neighborhoods where home are available each have their own unique flavor. Brandy’s Team of agents are specialists in helping you find the place in a neigborhood that not only fits your pocketbook but your lifestyle as well. Whether you want a home near work or want a more rural property, Brandy will find it for you. If you want to see examples of the homes in a specific area or if you want to get an idea of exactly what your home-buying dollars will get you, Brandy will deliver a list of homes that meet your requirements right to your inbox. To get this handy service started, just email your preferences and your contact information to brandyhelms@icloud.com. Brandy’s Team is always available to answer any questions you might have about the neighborhood, the home itself, or how to get started with buying or selling a home. Just listed in Highland Creek Subdivision in Baton Rouge. Freshly painted three bedroom, two bath with no carpet. Spacious Living Room features wood burning fireplace with wood accents and brick hearth. Large bedrooms with excellent closet space. Nice sized laundry. Privately fenced yard with room to roam. Washer, dryer and refrigerator remain. New A/C unit installed 2018. Conveniently located near shopping, dining, parks, and entertainment. Immaculate 3 bedroom, 2 bath home with an office. Gated community in an EXCELLENT location! Kitchen overlooks dining/breakfast area, featuring Cypress cabinets, granite countertops, stainless steel appliances, gas range, pantry, and an island/breakfast bar. 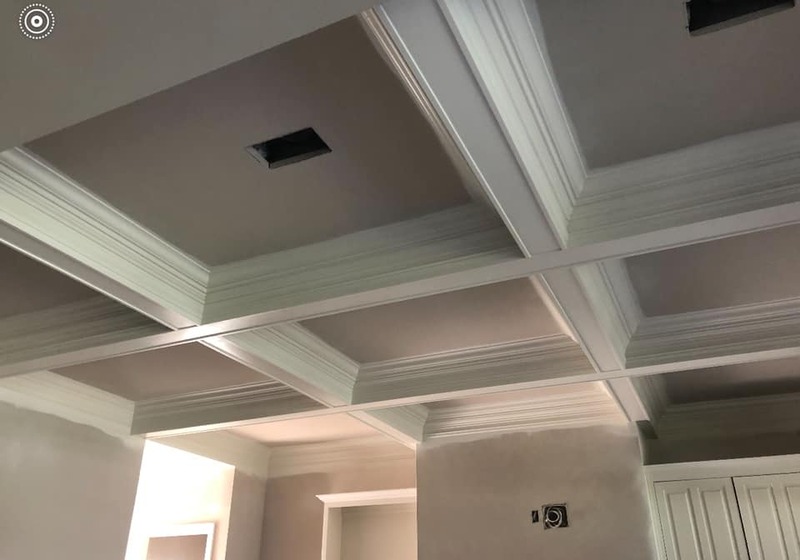 Lots of crown molding throughout. Wood burning fireplace with granite surround and custom mantle in living area. NO carpet! Ceramic tile in living areas and wood flooring in the bedrooms. Spacious master suite with French doors opens to spa-like bath that includes jetted tub, separate shower, dual granite topped vanities, and a walk-in closet. Guest bath also has granite countertops and tub/shower combo with glass enclosure. Oversized laundry has access from both master suite and garage entryway. Built-in bench at garage entry offers the perfect spot for shoes and bags. Out back, the covered patio overlooks one of the largest lots in the subdivision, privacy fenced. University Villas is convenient to Baton Rouge’s newest commercial development featuring a ton of options for dining, shopping, and entertainment. Rouse’s, Chic-Fil-A, and The Oasis volleyball courts just to name a few! Don’t miss your chance to call this one home! The first step is looking at houses. Have you ever test driven a car, completely fell in love with it, only to be told that you can’t afford it? Or have been craving something for days, only for the waitress to tell you they are sold out when you finally get the chance to order it? Determining how much house you can afford prior to looking ensures you can comfortably afford your new home. Speaking to a mortgage professional and getting approved for a home loan will help you determine what monthly payment you can afford, what down payment (if any) that you will need, and what type of mortgage best fits your needs. Your lender will also tell you what price range homes you should look at. Knowing this information up front will be helpful for both you and your Realtor. Also, when you find the perfect home, presenting your approval letter with your offer shows that you are qualified and serious. You don’t need an agent – While it is true, that you can buy a home without a Realtor, why would you? Your Realtor, much like your lender, will be a very important “partner” during your buying or selling process. Their knowledge of the process, negotiating skills, and overall experience is extremely valuable. Your Realtor will guide you every step of the way – from searching for homes, finding the right home and making an offer, home inspections and negotiating repairs, getting you prepared for closing, all while easing the process as much as possible. All real estate agents are the same – As either a buyer or seller, your Realtor will play a huge roll in your move. It is important to choose the BEST Agent, not just the most well known or largest company. While interviewing agents, look for a full time agent that is knowledgeable about both buying and selling. A true professional will be able to provide you with information on your market, negotiate on your behalf, anticipate and remediate problems, and overall make your buying or selling experience a good one. A few good questions to ask include – how long have you lived in the area, how long have you been in real estate, how many transactions a year do you average. You must have 20% to put down - Most buyers are unaware of several loan options that will allow buying with less than 20% down. There are programs such as Rural Development and VA loans that require no down payment. In some cases, bond money or down payment assistance is available. FHA loans require 3.5% down. A simple, quick conversation with a local lender or mortgage company will tell you what programs you qualify for. The only upfront cost when buying is your down payment – During the buying process, there are a few things you will need to be prepared to pay for out of pocket. In most cases, you will need a deposit to secure the home you decide to move forward with. This deposit, also called “good faith” money, can range from $100.00 to thousands of dollars depending on the home you choose. Home inspections are strongly recommended and usually range from $350-$600 depending on the size of your new home. Your lender will have the home appraised by a licensed appraiser to ensure the home is worth the price you are offering to pay. This appraisal varies but generally is in the $400-$500 range. You will also have closing costs associated with your mortgage that will be due at closing. Closing costs include your lender fees, title attorney fees, and can include property taxes, and insurance. In some cases, during negotiations, the seller may agree to pay all or some closing costs for you, as long as your loan allows. You need an open house to sell your home – Open houses are becoming less popular in today’s market. They were great prior to the internet and all of today’s technology. Don’t get me wrong, open houses still work, but are not as effective as in the past. Open houses today typically bring unqualified buyers, people “just looking”, and neighbors. In most instances, open house will not bring your buyer. Spring is the best time to sell – During my 17 years in real estate, I have seen slow springs, slow summers, insanely busy winters, and ups and downs regardless of the season. The truth is, it all depends on your local market! Speak to a qualified Realtor that can educate you and show you market patterns prior to listing your home. Don’t wait for the “best” time to list. I’ve been in the real estate industry for 17 years. 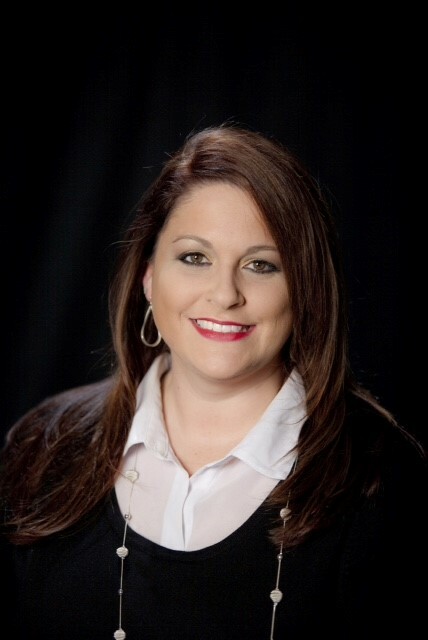 I started as a weekend secretary at RE/MAX Excellent Properties in Prairieville for Sandy Ogburn/Broker, and worked almost every position from scheduling appointments, MLS input, customer service, listing coordinator, Vice President of Sales & Marketing, and then Realtor. I am currently a Team Leader at RE/MAX FIRST in Baton Rouge. Top RE/MAX in the state! I have three sons, aged 23, 17, and 14. My oldest will soon graduate from LSU Nursing School. My middle son, Cameron, is one of the kindest, coolest teenagers ever, and my 14 year old is the most computer literate kid I know. I am a music junkie. Music is a major part of my life and in some ways has been therapeutic. I love the way a song can instantly take you back to a forgotten memory and brighten your day. I love all music genres. My playlist would probably shock you. My faves are Stevie Nicks, Dave Matthews, Incubus, Pearl Jam, anything that includes Maynard James Keenan, Blake Shelton, Kari Jobe, Hillsong, Alice In Chains, Radiohead, Chili Peppers, Aerosmith, Sublime, Chris Cornell, Linkin Park, Kenny, Zac, Old school hip hop…and pretty much all 70’s music thanks to my parents. I am from Zachary, Louisiana. I enjoyed growing up in a small town for the most part. I grew up in a neighborhood where the neighbors actually visited in the afternoons, shared dinner and company, and looked after each other. In my eyes, at the time, it was comparable to Mayberry. Ha ha ha. I am a Christian. I was raised mostly in a VERY Southern Baptist Church. My husband was raised Catholic. We attend Healing Place church and find that it is a perfect fit for our beliefs and love that their doors are open to everyone. I love the ocean and all things related. I lost my mother at a very young age. Many of my memories are of our family beach trips. The salty air and sand in my toes makes me feel closer to her – even if for a few moments. It’s also amazing for clearing my crazy mind. I believe in setting goals and working hard to achieve them. 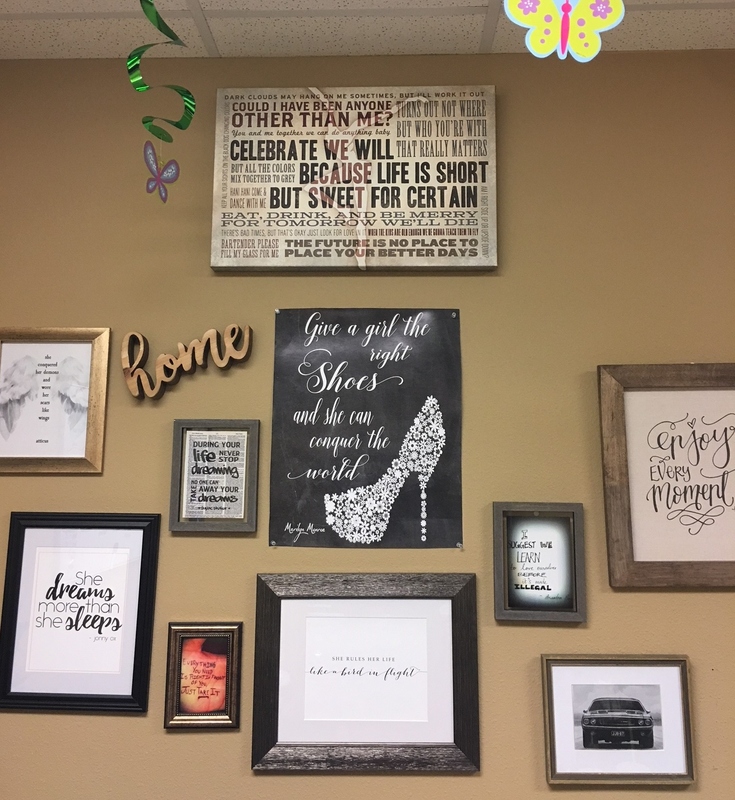 My office is filled with goal boards, vision boards, and motivational quotes to help me stay on track. Prior to setting goals (many years ago), I feel like I was just going through the motions and unsure why. I’ve hit rock bottom more than once. I’ve been helpless. I’ve been lost. I’ve been depressed. I’ve been poor, and I have been hungry. All of this has taught me compassion, gratefulness, and how to hustle and never give up. I may hit rock bottom again, but I will always bounce back. Pray. Lean on God. A great mentor once told me that 99% of the things we worry about never happen and it’s true! Be positive. Find a way…..and NEVER BE TOO PROUD TO ASK FOR HELP!!! I’m a complete night owl. In fact, I am writing this at 2am with an appointment scheduled at 8am tomorrow. I may not answer my phone one the first ring at 8am, but I will be up working on marketing for my clients and business late nights and early mornings. Now, If only I could show property to my night owl clients this late. J Why, oh, why, does my brain turn on at bedtime??? There you have it. 10 crazy, random, fun facts about me! Now, tell me about you! This home in Lakes at Ascension is in pristine condition, conveniently located near I-10, in the popular Dutchtown School District, and ready for new owners! You are greeted by a spacious foyer, followed by the living room with crown molding, hardwood flooring, and double french doors leading out to the impressive 23x18 covered back patio. The kitchen has a huge quartz top island, new quiet stainless dishwasher, and plenty of storage; furthermore, it opens up to a dining area that can accommodate a large table and hutch. Laundry room features a utility sink and half bath near the garage entry. No carpet here, the master and additional rooms all have hardwood floors and neutral paint colors. The master bath features a custom tiled shower with a heavy seamless door, dual vanities, and soaking tub, while the additional bathroom has Corona Marble top vanity. The spacious back yard is nicely landscaped and the roof was recently replaced in 2015. For more information - search www.brandysellslahomes.com for 13394 W. Lakeshore Drive, Prairieville. Oakbourne Subdivision in Dutchtown is coming along quickly! For more information call me, Brandy Helms, or visit brandysellslahomes.com.